The yellow petals on this Daisy flower look like flames leaping up from the edges of the center. The contrast is strikingly beautiful! A Praying Mantis walks down a Thistle plant. The back of this Yellow Daffodil is softly lit and in high contrast to the black background. The elegant Lily - close-up. A ring of bright yellow is surrounded by beautiful purple petals in on this flower. This is a closeup picture of a young purple Hydrangea. 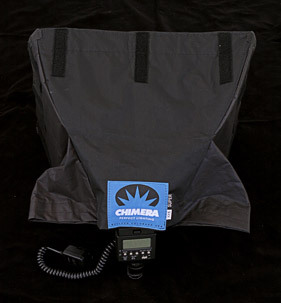 Extremely soft lighting was provided by a Chimera Softbox. A bright pair of Black-Eyed Susans positioned above/below each other are sharply contrasted against the black background. Lighting is from a Chimera Softbox. Strikingly beautiful, the Crocus ushers in Spring! Isn't he the cutest thing?! The call of the Spring Peeper is beautiful - and loud. The Spring Peeper in this picture appears ready to jump to you! Six symmetrical petals adorn this beautiful blue flower. An amazingly detailed caterpillar scans its surroundings. One of great aspects of macro photography is that you get to study creatures such as this. What you can see in the full-size picture is that each hair has little hairs of its own. Lighting is from a Chimera XXS Softbox. Yellow, white and red stand out against the dark green background in this flower picture. A purple and white crocus forms a beautiful artistic shape. A beautiful pink and white flower picture. A green caterpillar clings to a green stem under a white daisy flower. Lighting is from the always-perfect-light Chimera XXS Softbox and a Canon Speedlite. This beautiful white May Apple flower hangs beneath a canopy of large green leaves. May Apples are found on the forest floor - blooming in the Spring. The Polyphemus Moth is both big and beautiful. The Yellow and Red Rose in this picture is softly lit from the side. A bud on this pink wildflower artistically hangs on its stem. Black-Eyed Susans make great subjects - and the Chimera Super Pro Plus XXS Softbox delivers great soft light from a Canon Speedlite.